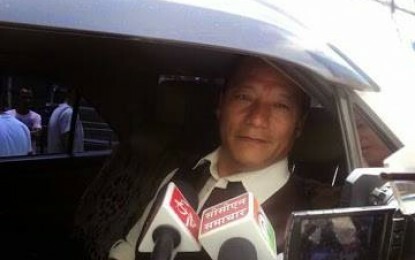 Gorkha Janmukti Morcha general secretary Roshan Giri today said they “have no objection on the formation of development boards in the Darjeeling hills, but such boards should all function under the Gorkhaland Territorial Administration". He was speaking at the Bagdogra airport before leaving for Varanasi and then later to New Delhi along with GJM chief Bimal Gurung and four other GTA executive members. After offering prayers in Varanasi, the GTA team will head to the national capital to meet Union ministers including Prime Minister Narendra Modi to discuss GTA-related issues, among other things including seeking central compensation for the victims of the July landslides. Giri sought to emphasise the tour was a religious trip. development boards in the Darjeeling hills, but such boards should all function under the Gorkhaland Territorial Administration". He was speaking at the Bagdogra airport before leaving for Varanasi and then later to New Delhi along with GJM chief Bimal Gurung and four other GTA executive members.